Although figurative art typically refers to the artistic representation of the human figure, it is also an all-encompassing term for any form, style or genre of modern art that reflects the real world. Figurative art is therefore a traditional ‘antonym’ of abstract art, an art form that is based on a notion or idea rather than the representation of concrete reality. 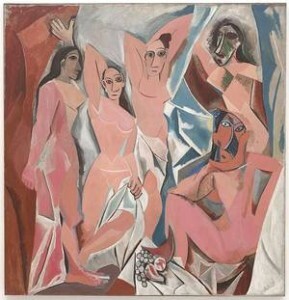 The warped figures of acclaimed cubist, Pablo Picasso; the well rounded nudes in startling hues and colours by fauvist, Henri Matisse, the babble of dancers by prodigious impressionist, Pierre-August Renoir, and the disturbing human forms by El Greco, are all famous examples of figurative paintings that have endured to mesmerise countless generations of art aficionados. Figurative art has been intrinsic to man’s creativity since the beginning of time. The earliest forms of naive rock art, the geometric figures found in the depths of the Egyptian pyramids and the classical sculptures by Polykleitos, Euphranor and Agesander – sculpting ably revived by luminaries, Michelangelo and Donatello – all exhibit recognisable shapes and forms identifiable in nature. As with all art forms, figurative art has evolved and developed over the centuries. The intricately idealised images of antiquity made way for a more observational form of art based on the philosophical Ancient Greek term, mimesis, meaning ‘to imitate’ or replicate in true fashion. In Europe, the Baroque style of the 17th century, a style dominated by the portrayal of the narrative in art, was accompanied by artists who strongly favoured the use of line, shape, colour, perspective and other formal elements in their work. 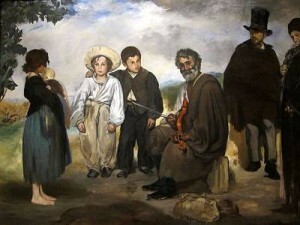 The emergence of neoclassicism, a distinct art movement characterised by order, symmetry and simplicity of style in the 18th and 19th centuries, laid the foundations for the multiplicitous figurative art of the 20th and 21st centuries. 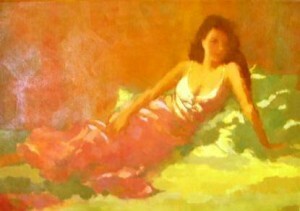 Although South African figurative art is largely defined by unique African images that vary from sweeping Karoo landscapes to statuesque tribal figures – themes that are inherent to the African continent – contemporary South Africa figurative artists are masterfully adept at creating appealing figurative paintings with a global, whimsical reach. With an emphasis on lithe ladies either dressed to the nines or in the altogether, Walters creates soft, delicate images in an endless array of hues that have been intricately worked to provide an astonishingly beautiful end result. Her bright, appealing work, ‘Relaxing’ epitomises the gentleness she employs in generating her desirable and highly emotive figurative paintings in oil. 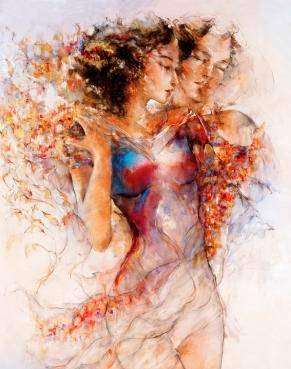 Benfield’s intimate, ethereal and mystical artworks in limited edition giclee portray a passionate spontaneity that exudes sensual femininity. 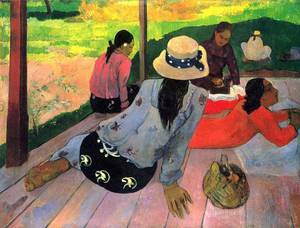 His beautiful figurative paintings of women in various guises exemplify his background as an accomplished illustrator. His extraordinary work, ‘Devotion’ highlights his tremendous skill at combining voluptuous reality with flamboyant fantasy. South African specialist art brokers, Fine Art Portfolio feature an extensive collection of figurative art, some of which boasts a distinct African flavour. Browse the versatile online gallery for highly collectible art works by recognised South African artists and to find out more about affordable global shipping and packaging alternatives. Top Cloud Storage Services for Business Backups	The cost of storing company and client data on site can be very high, given the required hardware, security measures and ongoing maintenance.